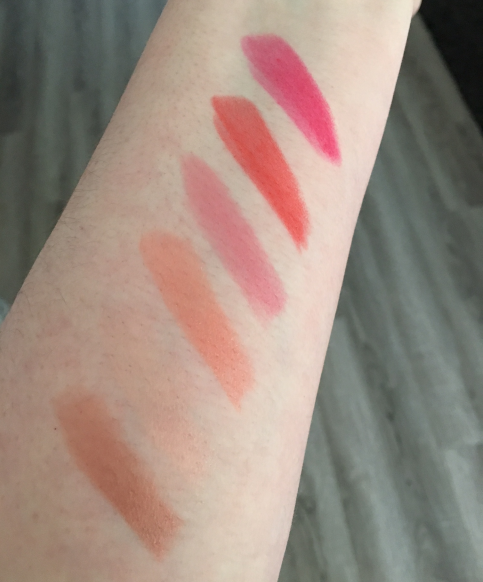 Every now and then a product comes along that is surrounded by extreme hype, but for the most part I can them and eventually they fade away. The hype never really left the Frank Original Coffee Scrub, so decided to give it a go and popped it on my Christmas wish list. I ended up receiving both the original scrub and the peppermint scrub, but I decided to start with the original to see what all the fuss was about. This product certainly makes for a full on body scrub experience. First up – the smell is amazing. If you want a scrub that will kick-start you and wake you up in the morning, look no further. It’s especially good for me, as I can’t actually drink coffee but I do love the smell. The only downside to the smell is that it sort of lingers on the skin after you rinse it off, and I’m not a huge fan of products that do that. The scrub element itself is phenomenal. This is a heavy duty scrub, you can really feel it working away and getting the job done when you use it. And then of course there is the novelty element of you and your entire shower being covered in coffee grounds (don’t worry, it washes off). 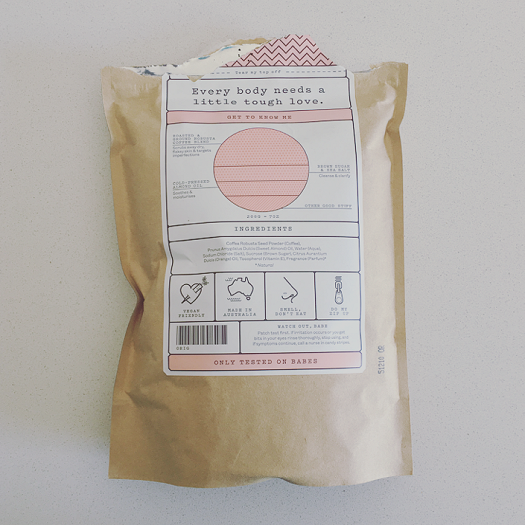 The scrub is vegan, cruelty free, and made in Australia. Frank Original Coffee Scrub retails for $16.95 and is available for purchase from Frank Body. This is my new obsession. 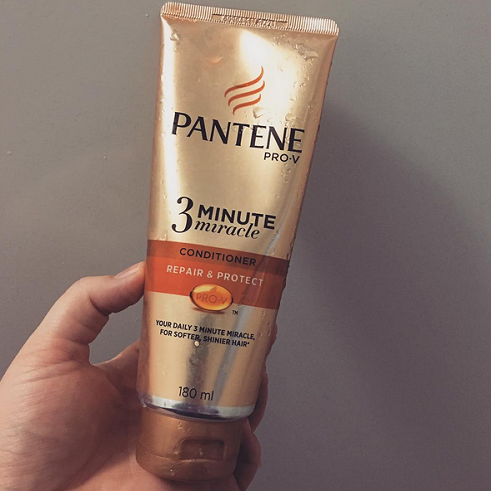 I’ve been a big fan of Pantene 3 Minute Miracle for many years now, so when I stumbled across this large tube at my local Coles I did a double take. What was this glorious gold tube? Was it my old school favourite, maximized? No… it’s a brand new favourite. 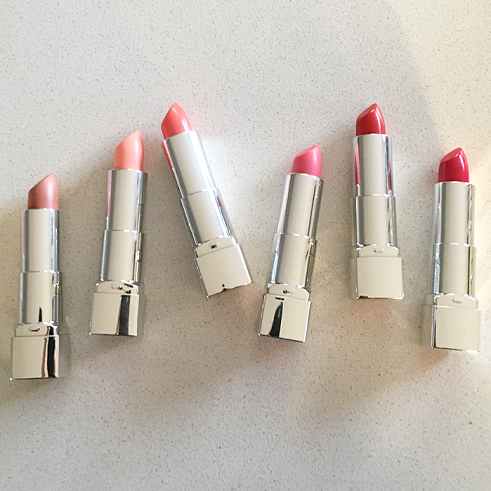 A big ol’ tube of 3 minute miracle that you can use every single day. First things first, this smells AMAZING. Like, want-to-eat-it-but-don’t-because-poison amazing. Secondly, this really works. And it’s a much different experience from the original 3 minute miracle in that it’s far more lightweight and gentle on the hair. Which makes a world of difference if you have fine hair like myself. If you were a fan of the original, or if you’re just in the market for a new conditioner – pick this up ASAP. The Pantene 3 Minute Miracle Conditioner retails for $7.99 AUD and is available for purchase from Priceline. I made an emergency purchase mid-holiday due to suffering from a severe head cold (how I survived the FREEZING COLD winds of Melbourne I do not know), but the spur-of-the-moment purchase was definitely worthwhile and now I feel like I can’t live without this product. 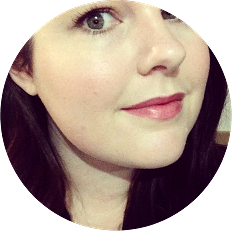 I’d used the Clarins Lotus Face Treatment Oil previously and had experienced really good results, so I headed straight to the Clarins counter when I knew I needed a hydrating oil ASAP. 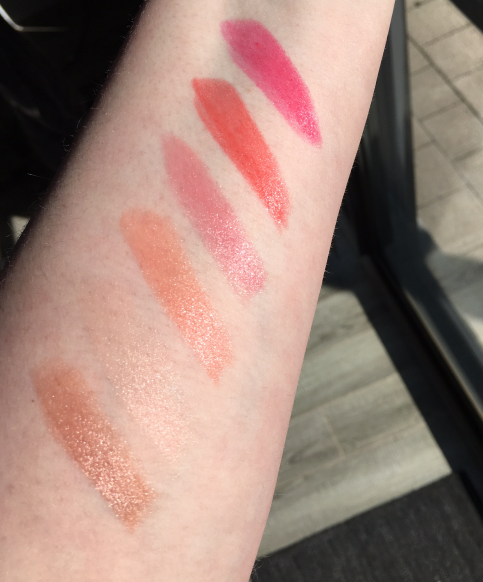 I have sensitive skin so knowing Clarins already had a product I knew I could trust not to cause a reaction meant that they were my first stop. After purchasing I went back to the hotel, cleansed my skin, smothered it in the oil, and promptly took a nap. My skin showed a difference as soon as I woke up. I LOVE THIS PRODUCT. It absorbs quickly (but be sure to let it fully absorb before you apply your moisturiser), it has a pleasant lemon-herbal scent, and gives a healthy sheen but not a shine so my fellow oily-skinned girls need not fear. 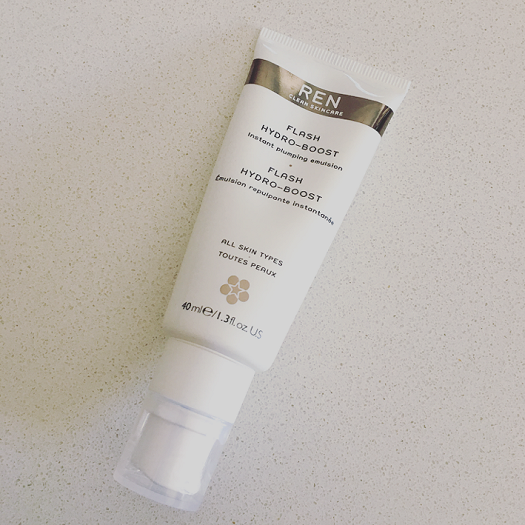 My skin seems to have found it’s balance again, so I’m not using this on a daily basis but I’ve incorporated it into my weekly skin care routine and it’s become a firm favourite. 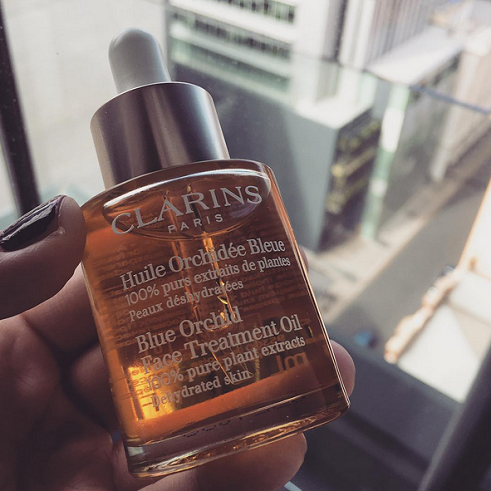 The Clarins Blue Orchid Face Treatment Oil retails for $55 AUD and is available for purchase from Adore Beauty.